This week we were fortunate enough to be asked to work with DLA Piper as part of the WIN Programme. It is a fantastic initiative which addresses the technical, commercial and personal aspects of lawyers working in-house. 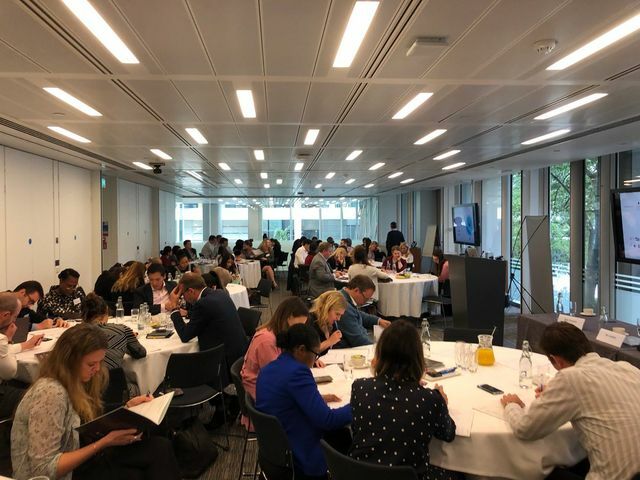 For those of you that have worked with us in the past you will be able to predict that we spent the day helping the 200+ delegates on the influence challenges they face regularly in the work place. Using live challenges faced by the delegates, we focused our service on two areas. Firstly, we found that a common issue faced by in-house lawyers is that they regularly have to navigate complex influence situations which include multiple stakeholders across different business units. Using our mapping tool, we assisted them in looking at the problem through our influence frame and enabled the attendees to identify the right stakeholders to focus their efforts on, find individuals that can influence for them by proxy and give themselves different paths to achieve their influence effect. The second issue that we found that was common to all in attendance, is the way in which they are perceived within their companies. The in-house lawyer is often seen as a blocker to progress that the company wants to move in and so can be viewed in a negative way. One attendee even joked that their unofficial title at work is ‘Chief Obstruction Officer’. Those in attendance were provided with a suite of tools to assist them, but were also asked to remember just one thing, which will apply to all readers of this insight piece too. If you want to influence change in someone, especially someone with a negative attitude, you must deliver any messaging to counter that belief in a way that makes sense to them, rather than one that just makes sense to you. That is why we spend as much time as realistically possible getting to understand the person we are trying to influence, else we risk a clashing of perspective, from which influence is especially difficult. If the message isn't framed with consideration to that individual, you won’t be able to empathise, understand their point of view or make use of the aspects of their personality to create a relevant and effective message. Collaborating and tackling the fairly unique problems in-house lawyers face was as enriching to us, as they are challenging to them. All members of the Applied Influence Group team thoroughly enjoyed the time we spent with the WIN Programme and are looking forward to continuing working with the initiative and wider community on their future influence challenges.